Our product range includes a wide range of pouch packing machine and shrink wrapping machine. Packing Range 0-Ml. to 500-Ml.,250- 500-Ml. 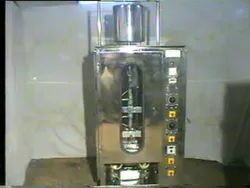 We are recognized as the leading manufacturer and exporter of Pouch Packaging Machines that are available at pocket friendly prices. 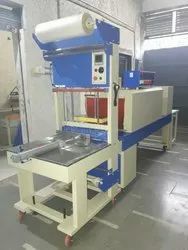 These precision engineered Pouch Packaging Machines are used to fill Drinking Water in polythene bag up to a capacity of 250 ml to 500 ml for sell purpose. Our range of packaging machines is highly efficient and durable. Moreover, these are available in a multitude of customized forms. Dimension L-13.8 ft X W-3 ft X H-6 ft.